These are all of our Institute of Inspection Cleaning & Restoration Certification, (IICRC), certified technicians here at SERVPRO of North Shasta. We appreciate them because they work hard, they're professional and they make are customers feel comfortable. Meet Laura Burgdorf, she is our Sales & Marketing Manger and has been with us since 2004. The best part about her job is is meeting new people and giving them advice to help them through the process of water, fire, and mold remediation. She has 2 children, Jenna who is 24 and Nicholas is 12; spending time with family is her favorite way to enjoy her free time! Suzy Vereschagin is one of our estimators at SERVPRO of North Shasta, Trinity & Greater Tehama Counites and she has been with us for two years. Suzy has four children and one Boston Terrier. She's a huge San Jose Sharks fan and loves playing golf. In his spare time, Mike is very passionate about smoking meats and doing projects around his house. Meet Mack. Mack has been with us for a year he is one of our technicians and our lead mechanic. In Macks free time he enjoys rebuilding classic cars and listening to music. Meet Tony. Tony is one of our technicians he has been with our company for 7 years. He started with SERVPRO in 1987. Extremely knowledgeable and experienced. His twin brother Eric also works with us. His spare time he enjoys riding dirt bikes and snow boarding. Meet Eric. Eric is one of our technicians he has been with our company for 5 years he and his twin brother have been in the restoration industry side by side for 25 years. In his spare time he enjoys Hunting and Snow boarding. Doug Stephens (Left), Franchise #9908 Owner of SERVPRO of North Shasta, Trinity & Greater Tehama Counties, standing next to his highly trained and professional team of fire, water, mold and storm cleanup and restoration Technicians. 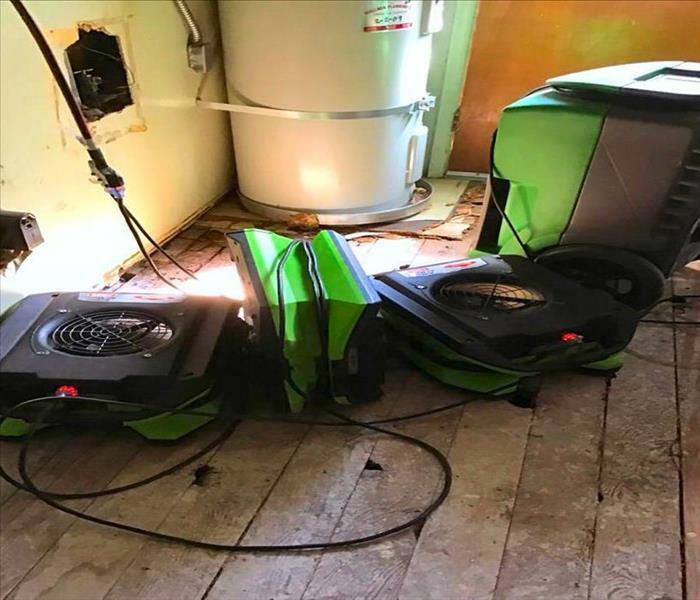 Along with support from the Marketing and Office team they together bring SERVPRO of North Shasta, Trinity & Greater Tehama Counties to a place of sought after emergency solutions in Northern California's commercial, insurance, residential and business properties disaster response. 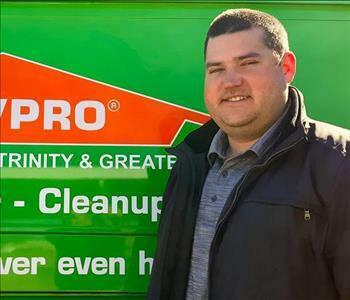 Meet the owners of Redding, California's SERVPRO of North Shasta, Trinity & Greater Tehama Counties locally owned and operated premiere Fire, Water, and Mold restoration provider in Northern California. 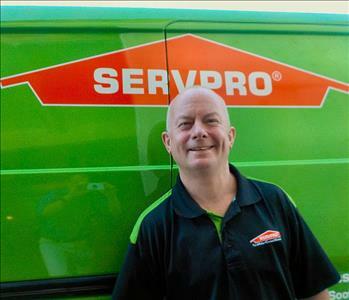 Ethan is an extremely valuable, experienced and certified SERVPRO asset and friend to our local community. Redding residents deserve the best service, professional expertise and fast results. Ethan exhibits all of those and more. 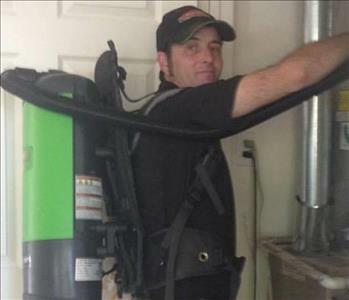 Toxic Biohazard situations, Fire and Water Damage, Carpet Cleaning..he can do it all. Thank You from your SERVPRO team. Tom comes to our team with years of experience. 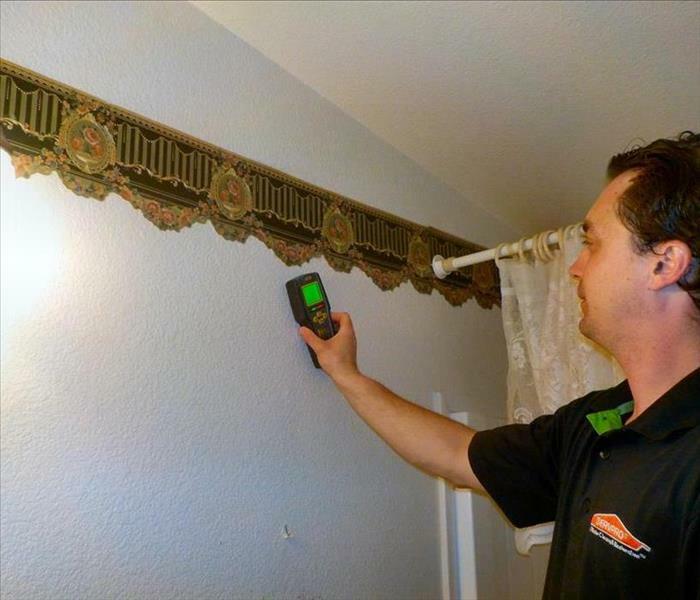 He is a very professional, seasoned and sought after technician here a SERVPRO of North Shasta, Trinity & Greater Tehama Counties in Redding, CA. Phone us at 530-222-0200 and ask for Tom. Dallas is a Sales and Marketing Representative (SMR) with us. Growing up here in Redding, Dallas is well integrated into the local community business networks. He is an avid outdoorsman enjoying the many opportunities for boating and fishing. He has a BA degree in Communications from Sacramento State University and a welcome addition to our team.